Engineering and supervision for transport of a shiploader from the construction yard to the transport vessel. 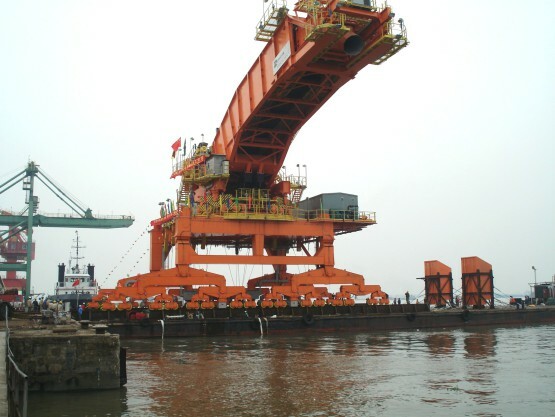 Marine Heavy Lift Partners engineered and designed the rails and seafastening and also did the ro-ro calculations. On site Marine Heavy Lift Partners did the supervision of the ro-ro operation. Responsibility Design rails, seafastenings and ro-ro calculations, survey ro-ro operation.